This is the first comprehensive study of Grammatical Metaphor in the Chinese language. As the most important theoretical innovation of Systemic Functional Linguistics in the past three decades, Grammatical Metaphor has been extensively studied in relation to the English language. There has been very little research describing and analysing in depth the phenomenon of Grammatical Metaphor and other languages. The book discusses the identification, categorization and deployment of Grammatical Metaphor in Chinese and compares these aspects of Grammatical Metaphor in Chinese with those in English. In addition, Grammatical Metaphor in Chinese looks not just at ideational but also at interpersonal Grammatical Metaphor with corpora consisting of both written texts and spoken discourses. This will provide a more comprehensive understanding of the phenomenon and set up a framework for further analysis of the interaction between two types of Grammatical Metaphor. Well-written, neatly-structured and well-organized; it is sound both theoretically and methodologically; its arguments are forceful, and the description and the analysis are detailed and its findings are significant. This book is both thought-stimulating and self-explanatory. The chapters and sections are presented in a clear way with expository examples. The book's value for the field can go beyond the theoretical discussion, corpus analysis and typological interpretation that the author sets out to accomplish. 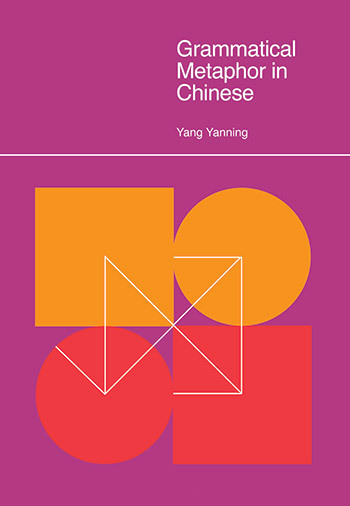 As a research work on grammatical metaphor in Mandarin Chinese, this book is particularly useful to linguistics and/or instructors who work on language teaching, text analysis or cross-linguistics comparison, and best fits readers who are familiar with functionally-based approaches to linguistics. Although the author does not specifically address issues of language teaching, language teachers should find the categorization and discussions in this book helpful.